In the hot summer sun a group of animals are eagerly looking for a shady place to rest. The animals quarrel for a spot under a tree, until finally, the elephant wins. But when they look again, the tree is dying and has only a few leaves left. Just then, they see a father and... read full description below. 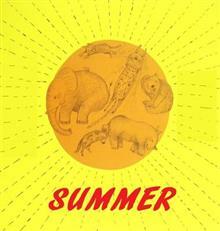 In the hot summer sun a group of animals are eagerly looking for a shady place to rest.